History Salvaged in West Creek, New Jersey creates fine writing instruments and other unique gifts produced from Witness Wood® and other materials of historic and cultural significance by repurposing artifact that normally would be discarded in the preservation, restoration and renovation process. We strive to “Keep History Alive” by salvaging and repurposing pieces of our past that typically would be lost to time. History Salvaged seeks out Witness Wood® and timbers removed during restoration and renovation of historical buildings and grounds. We strive to salvage and create an alternative, rather than the discarding and destruction of these unique and limited resources. In our small way we also help preserve the integrity of the environment through the repurposing of these materials. 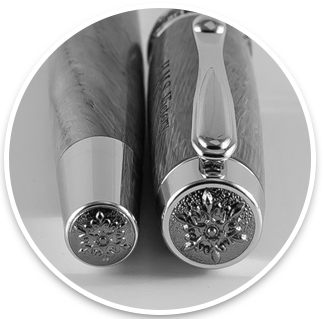 Our business model gives old resources new life, additionally we make every effort to support and give back to the community, historic sites and museums Not only do we create fine writing instruments, but also picture frames, bottle stoppers, ornaments, magnets, bookmarks, furniture, knives, watches and artwork. With great political, social and environmental challenges facing mankind in the 21st century, our once-strong relationship with our forefathers and national identity is fading into obscurity. History Salvaged is not only committed to preserving our country’s sites and buildings, but is also dedicated to supporting charities, organizations, communities and historic sites through our continued development of our unique handcrafted Witness Wood® creations.